Alice Springs and the world of Aboriginal art form the background to “Hot Rock Dreaming”, the second novel from Martin Roth starring private detective Johnny Ravine. Australia’s most famous Aboriginal painter is dead - supposedly killed when a heavy object tumbled onto him in his studio during an earth tremor. But then doubts arise. For a start, the police now suspect murder. And why was the victim heard earlier predicting his own violent death? Enter private detective Johnny Ravine to solve the mystery. Quickly he finds himself thrust into a byzantine world of art and artists where questions are far more numerous than answers. Where did the victim’s art dealer obtain the incredibly rare artwork that he was secretly selling? Is the controversial green energy company RokPower really going to harness power from hot rocks deep under the ground, and did it kill the artist’s Dreaming spirit when it injected water onto the rocks? And who is the beautiful and mysterious Asian lady who seems to be able to converse with the dead, and who says she knows how the artist really died? A killer is on the loose and even Johnny’s own life is in danger. But first he needs to understand that the death of the artist has unleashed spiritual forces that threaten an entire community. Melbourne-based Martin Roth has worked on daily newspapers in Australia, New Zealand, England and Greece. For seventeen years he lived in Japan, and as a Tokyo-based foreign correspondent his reports from Asia appeared in publications around the world. He is now one of Australia’s leading financial writers, and is the author of many books, including the thriller “Prophets and Loss” and the annual “Top Stocks” series. 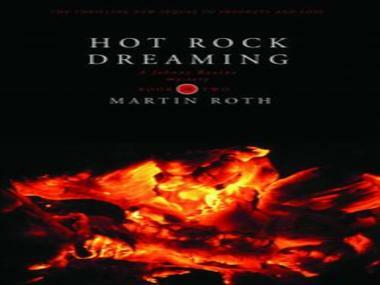 “Hot Rock Dreaming” is published by Sydney publishing house Ark House Press (www.arkhousepress.com). The author’s website is at www.martinroth.com.au.